Our range of products include area cotton printed rug, cotton printed rug, natural fibres cotton rug, natural fibres cotton woven rug, natural fibres wool cotton rug and cotton printed indian dhurrie rugs. Add elegance to your home decor with ambience of warmth and joy. 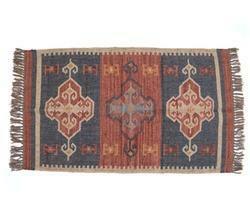 Subtle sort of multi shades of this rug will instantly complement an array of colours and liven up your space. 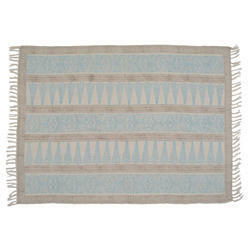 Fill your home with a beautiful, nautical vibe with this ocean-hued cotton rug. 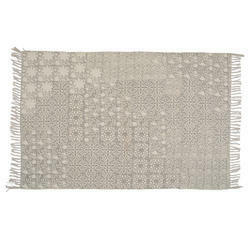 With its unique diamond pattern this rug is ideal for both the bedroom and living room. This rug for those who love to keep their home décor spruced up elegantly. 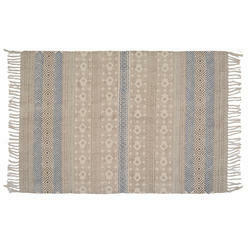 An attractive pattern and cool colour make this rug an ideal choice to jazz up the look of your room. A contemporary design and dense, thick pile of this handmade rug inspired by geometric patterns with today's updated colors. 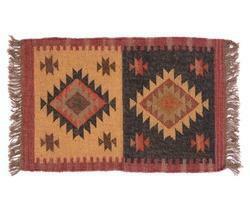 This vintage pattern rug is a designer floor piece that is here to make sure that your house gets a complete look. Earthy colours and traditional design is what makes this Diamonds make it so special. This will add a graceful look to just any floor giving it a charming look. 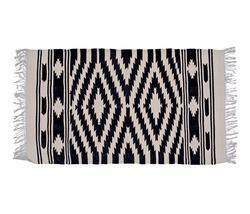 The woven rug has a gorgeous, bold pattern that’ll really liven up your living space. 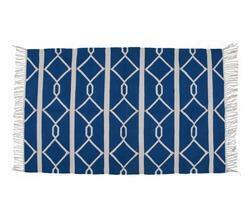 Simple and refined this rug is an excellent way to add charm and elegance to your decor. 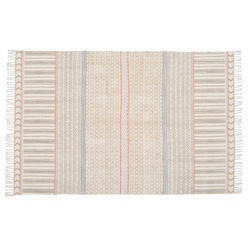 This wool cotton rug is perfect for any room in your home where you want a traditional look. Natural colors of this rug make it versatile and easy to coordinate with most furniture. Add a stylish appeal to your home decor with this rug. Cover your home flooring with royalty with this faded area rug. Made of high-quality material, this rug features an exquisite design with intricate detailing to revamp the look of your home. 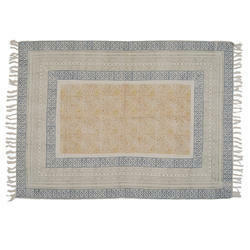 This faded printed rug will enhance the look of your room while providing the traditional feel. Gift this to your loved ones and let them cherish the beauty of this cotton rug. Bring a unique touch of class to any room with this faded print area rug. 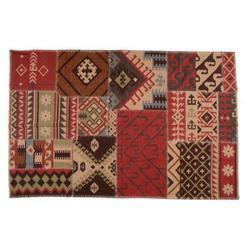 This handmade beautiful design rug is made of cotton. You can also gift this designer rug to your loved ones on any occasion. This soft rug will give your home with elegance. 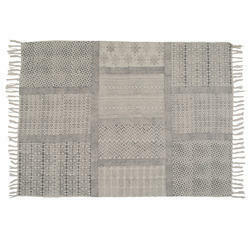 Made of cotton with the grey and off-white coloring, this rug is eye catching for the floor. 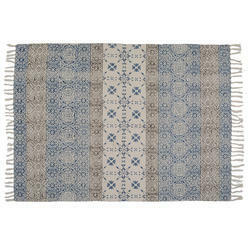 Place this cotton rug in the family room for a completed chic overall look. 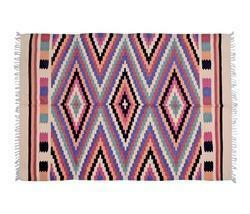 This printed multicolored rug offers a unique compliment and adds a gorgeous look to your home décor. Multi color of this rug makes it look attractive and ideal home furnishing in the living room, dining room, or home office. these are handmade jaipur printed rugs dhurries . we use different technique for making these rugs like block printed rugs, screen print rugs, digital print rugs, embroidery rugs, cotton rugs etc. This versatile and functional cotton rug brings softness and comfort to your home. 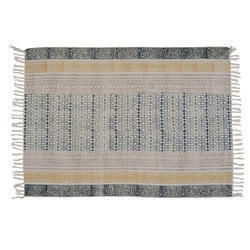 Handmade and stone washed, this printed rug is crafted from soft, durable cotton and hand finished fringe. Create a dynamic area in your home with this faded print rug. 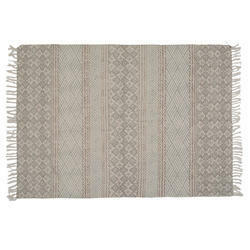 This beautiful cotton rug is absolutely ideal for your living space. This rug is a perfect accent for providing a cosy touch to a floor. The intricate design print on this handcrafted rug provides an unique and eye catching fished look to this piece. 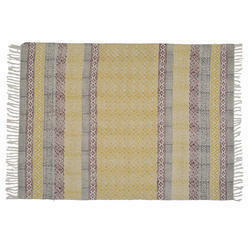 This faded print rug is ideal for a all kind of home decor and will magnify the look of the space. 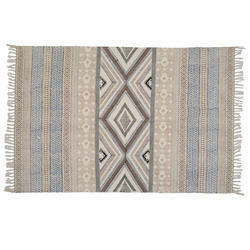 The faded print design of this rug would provide a very appealing look and feel to the entire space it would be laid in. 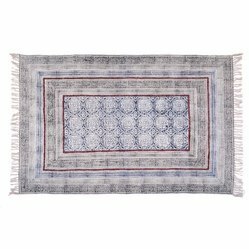 This cotton rug has a unique pattern and can change your room interior. This stunning floor covering provides a modern, contemporary vibe in your home. This is an absolutely beautiful handmade rug featuring embroidery design on colorful printed base. 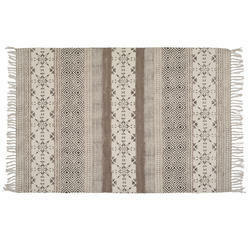 This gorgeous rug exudes a ethnic aura and has a very refreshing look. 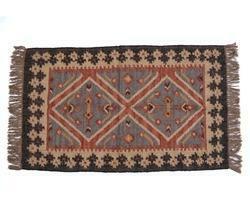 This rug features ethnic printed embroidered motif, which will give traditional touch to your interior. 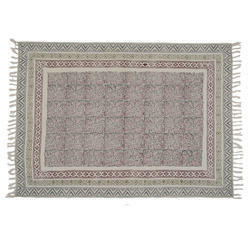 This is highly durable and 100% cotton rug. This decorative printed embroidered rug will be a perfect choice for any living room or to place it under any dining table as well. 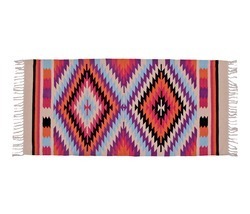 You can also use this rug in your bedroom or under the centre table also. 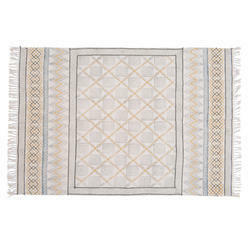 This decorative rug gives a very royal and regal look with soft and subtle color and geometric pattern. This printed embroidered rug gives a warmth, soft and cozy touch to a place when it will be placed once. Note : size and color can be customize. 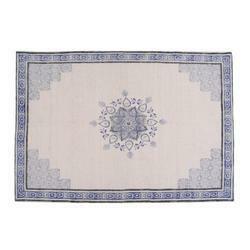 This 100% cotton rug is an elegant home decor item and this is made from cotton. It has amazing design which will fetch the compliments of your guest. 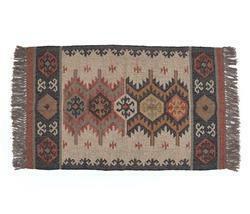 This rug is perfect in your living room or under your dining table. The rich textures and faded pattern offers a sophisticated feel for any space. This beautiful contemporary rug blended well with all styles of interior decoration. It can be considered as a gifting option as well. 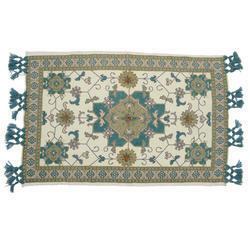 Contemporary rug with beautiful color and design is enhancing the beauty of your home or office. Bring home this decent and attractive rug and make your floor flash some style. This beautiful but practical rug takes home decoration to the next level with new designs in fashion-forward colors, and patterns from classic to contemporary. 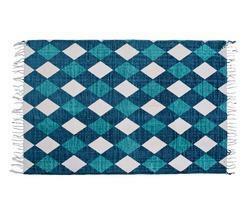 This geometric pattern rug will make an attractive addition to your home décor. This rug featuring an abstract vintage pattern, this traditional rug fits in the bedroom, the dining room, the living room - any room in the house. The subtle variety of shades allows this rug to blend with virtually any decorative style, from contemporary to classic and everything in between. This rug has soft coloring for a warm, relaxed look. 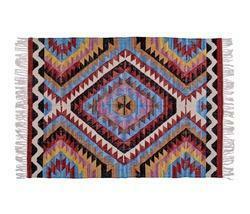 The tone of this rug go with your choice of color scheme and add a traditional style to your living room or den. Made with jute, this rug is comfortable for bare feet. 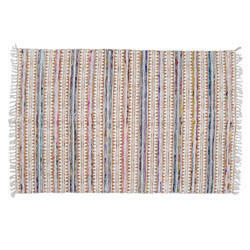 This woven jute rug has strong vintage appeal. Give your living room added sophistication with this elegant Suzani wool area rug. Its rich, deep color will add style to your floor and dress up any living space. Mold your way through your decor which is well defined and textured, bringing grace to your homes. Splay this woven chindi cotton rug on your floor and see how it creates magic when blended with your room setting. This rug helps in Brighten up your home interior With an eclectic, mixed palette, it’ll transform even the most neutral of color schemes to give your living space added some casual and sophisticated look. Give a quick makeover to the rooms in your home with this rug. This is a stunning royal traditional design, full of deep tones and warm colors, this rug will be a sumptuous addition to your home. 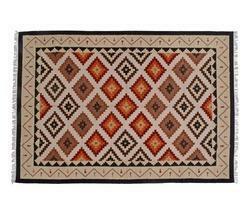 Ethnic rug is one of the most essential things in the house and your house will look welcoming and cozy with the addition of this rugs. This faded print rug offers a classic floor covering adds stylish sophistication to your home. 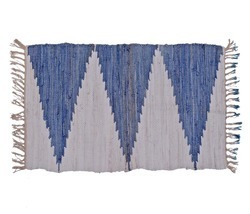 This rug showcases a beautiful floor covering with fringe detail that is handmade in durable cotton. Note Size and color can be customize. 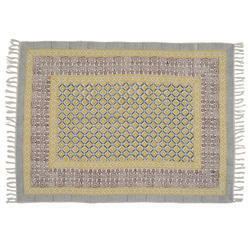 This faded rug delivers a neutral color palette and fashion-forward patterns to your decor scheme. 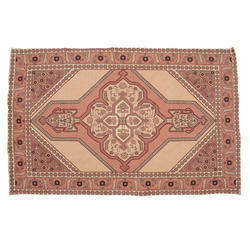 The block printed rug is functional and versatile and can be placed in any room in your home. 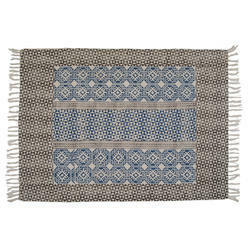 Bring the perfect look to your room with this 100% handmade cotton rug. 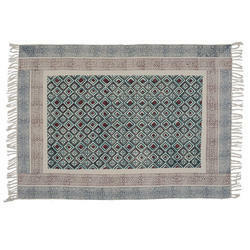 This rug is made of the finest quality material and it has a great color combination with a beautiful intricate pattern. 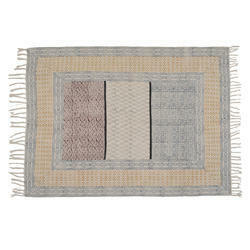 Beautiful design combination, this 100% cotton rug is specially design for the modern home décor. 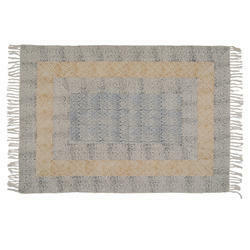 Place this beautiful faded print rug in your living area and give a new look to your home. Finish off your interior with this decorative floor rug that will bring extra focus to your decor. The intricate design of this faded print rug provides a unique and eye-catching fished look to this piece. 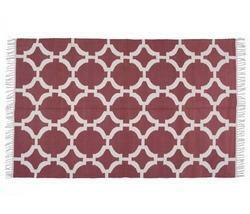 Give your space an added touch of luxury with this wavy trellis pattern geometric rug. This piece will instantly update any room in your home with a blend of modern influence. With rich, luscious detailing and a vibrant feel this rug brings life to any space. Its bold geometric pattern in bold colors looks stunning and is sure to complete the modern look of your living room, bedroom, or study room. This rug adds beautiful style and functionality to any room. This rug is made from jute fiber with vintage-inspired pattern adds character and complexity to make the rug stand out, but the subtle nuances in color change won't overpower a room. This makes the piece especially useful when placed in a room with many sofas or beds. Enhance the beauty of your room and protect your floor by placing this faded print rug. 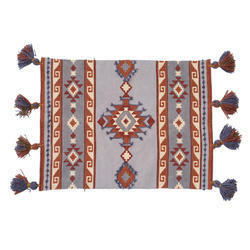 This beautiful rug is handmade in pure cotton. This is ideal for the living room as well as the bedroom. This decorative rug features the multi colors and ethnic geometric design pattern would add life to any space it is placed in. Tassel-like fringe exudes more character to your rooms.